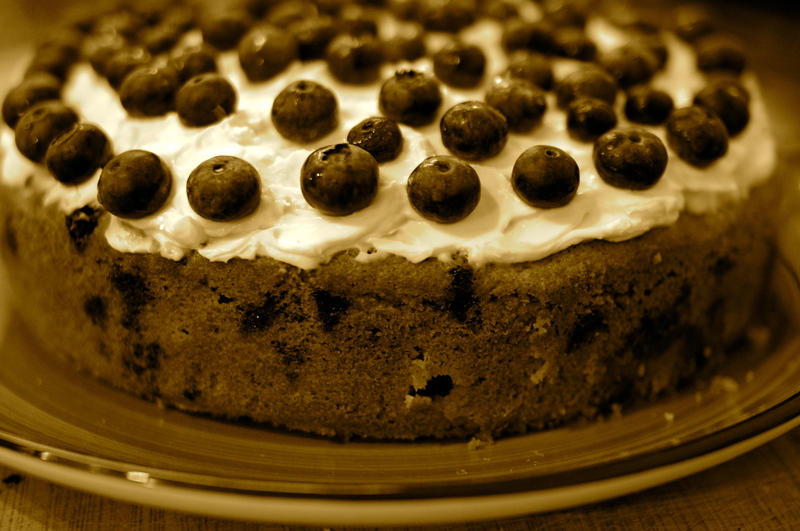 Blueberry cake with cream cheese frosting. I was asked to make a cake for my fathers 60th birthday party last saturday so I needed to come up with something impressive. My dad likes sponge, fresh fruit and icing that isn’t too sweet. I’m going through a bit of a love affair with cream cheese icing as it is slightly healthier but just as tasty as more traditional icing. Well I am pleased to say this cake was a hit and one guest even wrote a thank you note to my mother mentioning how delicious Emma’s cake was. (Take the praise where you can get it I say!). 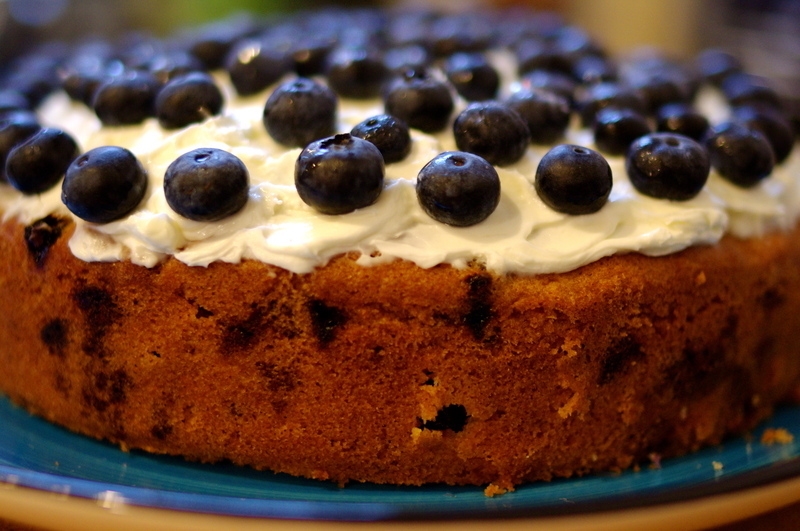 The blueberries in this recipe will burst in your mouth as you bite into a mouth-watering sponge. This cake is worthy of any celebration, but also makes a wonderful afternoon treat with a cup of tea or a delicious dessert. 1) Preheat oven to fan 160C/180C/gas 4 and butter and line the base of a loose-based 22cm round cake tin with non stick baking paper. 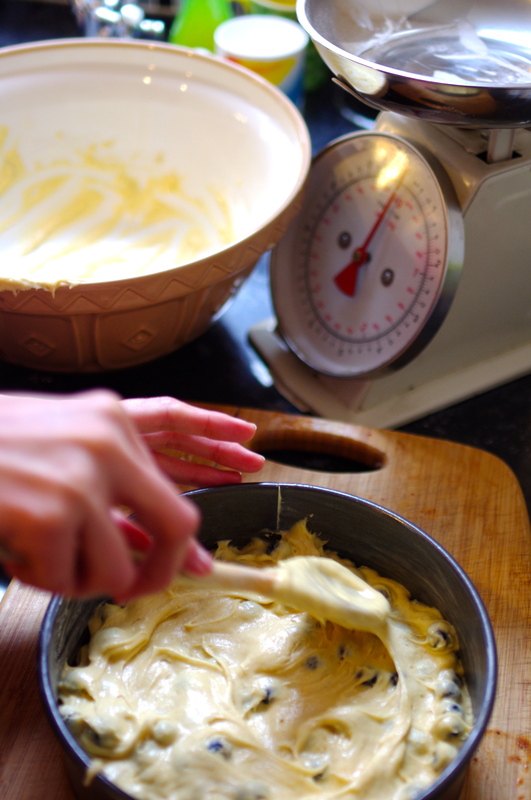 2) Place the butter, sugar, eggs, flour, baking powder and vanilla in a bowl. Beat with a wooden spoon until lighter in colour and well mixed. 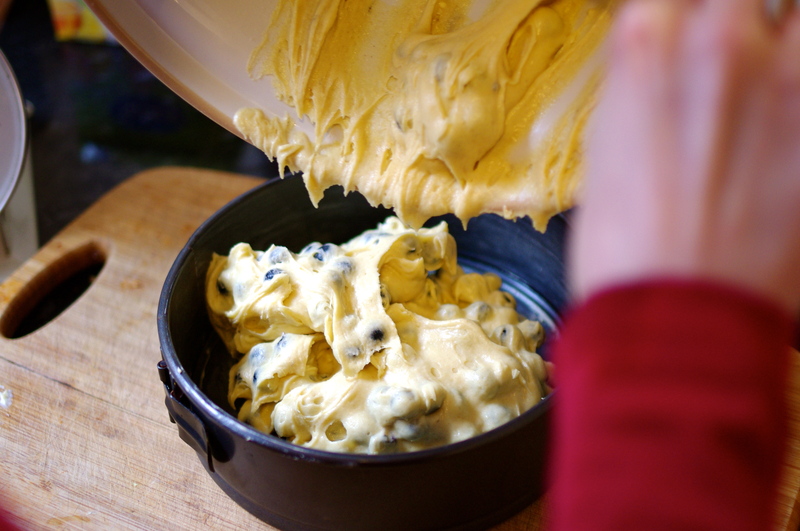 Mix in 4 tbsp soured cream, then stir in half the blueberries with a large spoon. 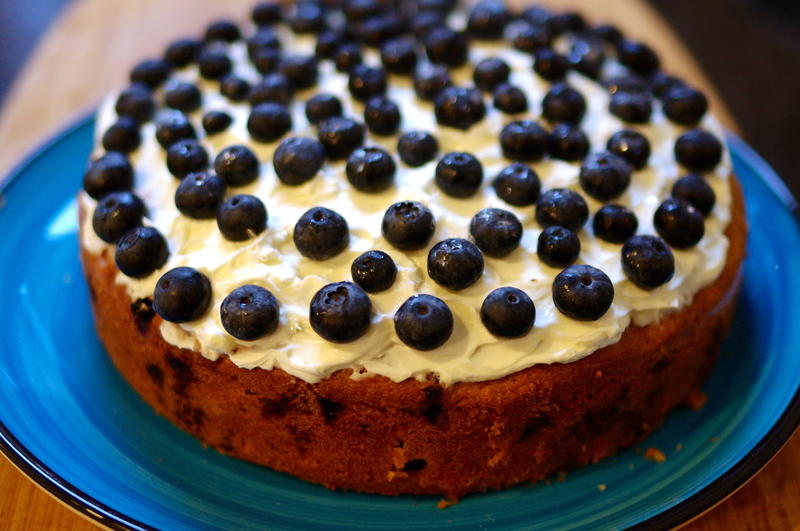 To prevent blueberries from sinking while baking lightly cover with flour before adding to the mix. 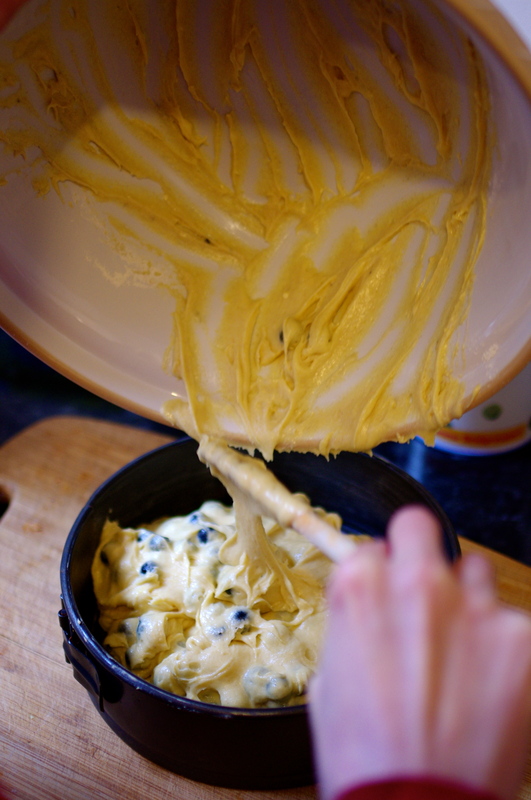 3) Tip the mixture into the tin and spread it level. Bake for 50-60 minutes until the cake has risen and springs back when lightly pressed. Set aside to cool, then take out of the tin and peel off the paper. Leave to finish cooling on a wire rack. 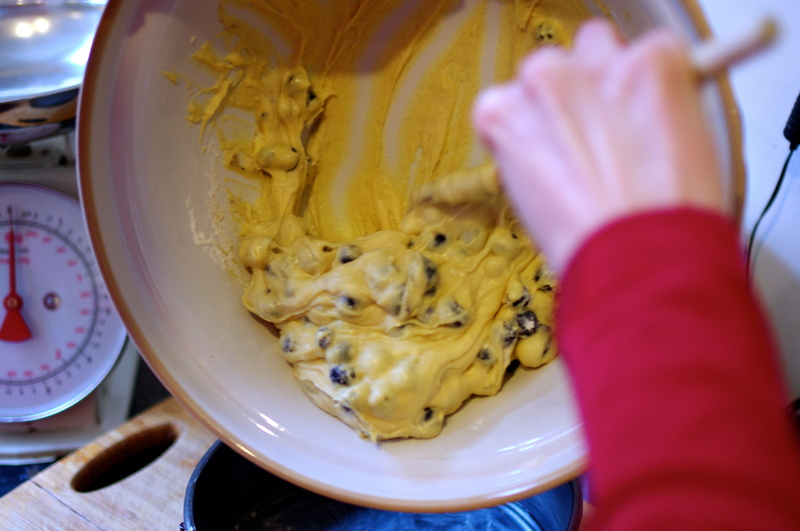 4) To make the frosting, beat the cream cheese with the icing sugar in a bowl until smooth. 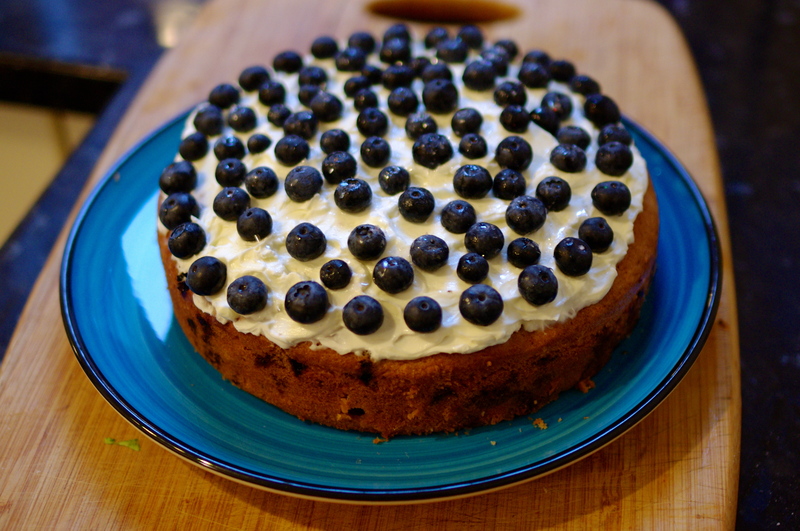 Spread over the top of the cooled cake and scatter with the remaining blueberries. The cake will keep in the fridge for a couple of days. Delicious! I am sure your dad loved his special cake! Wow! Bookmarking this!! !